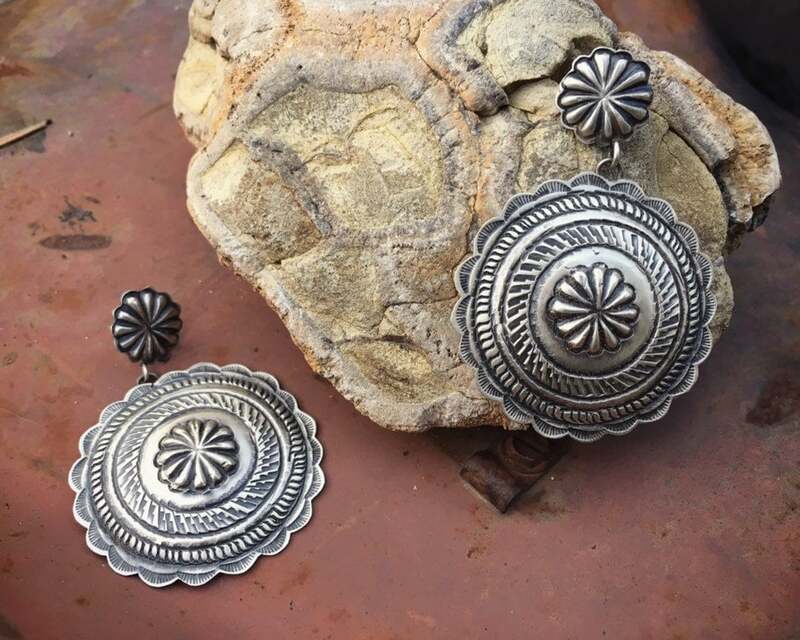 Here we have a striking pair of brushed sterling silver concho earrings that dangle. 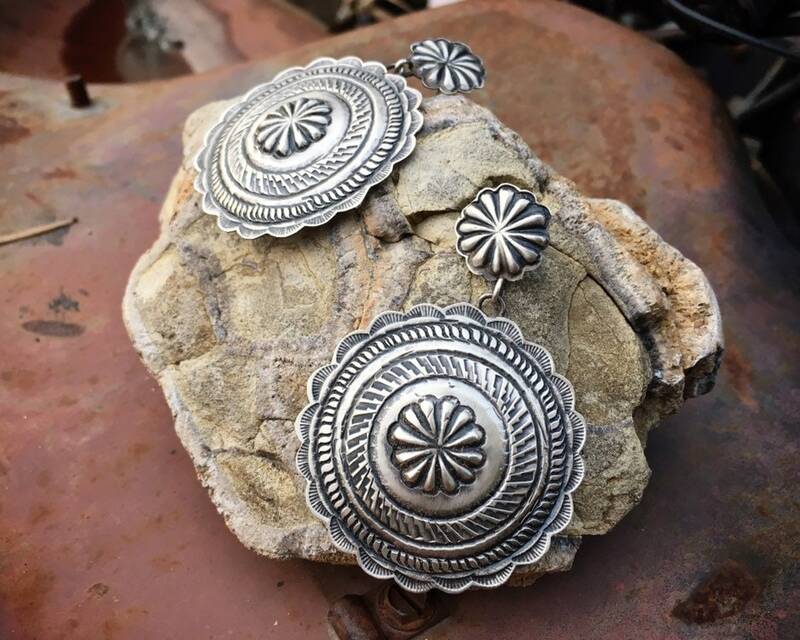 Beautiful repousse center with stamped designs in a simple large round shape with stamped designs, all dangling from a smaller concho post. 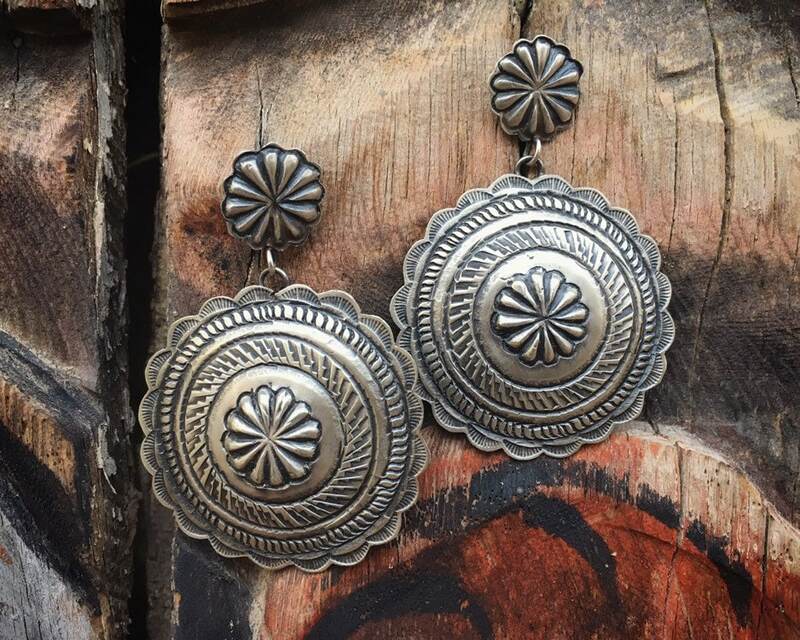 One of the earrings carries the hallmark of Navajo Eugene Charley. 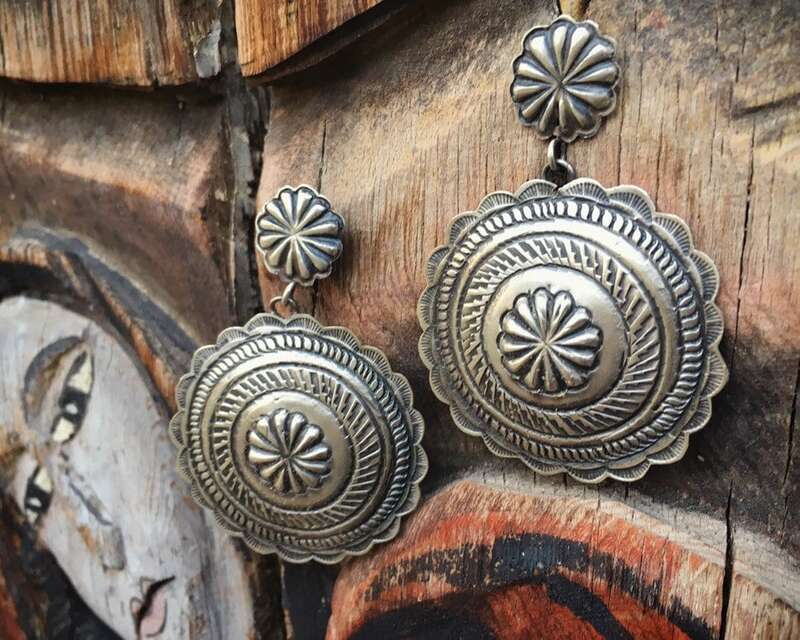 The silver is light, making these a large earring that can be worn all day long. 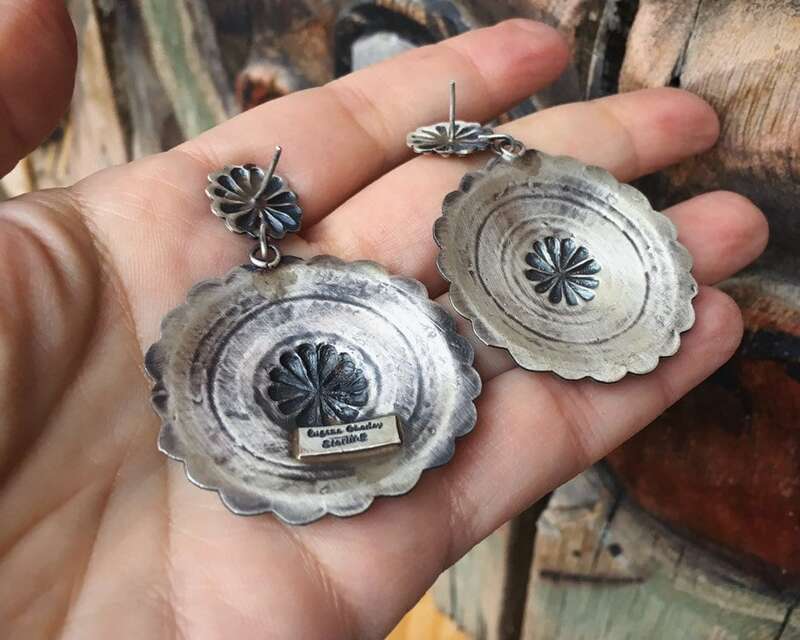 Each earring measures 1-5/8" in diameter (measuring the larger portion only) and dangle to about 2" including the post portion. 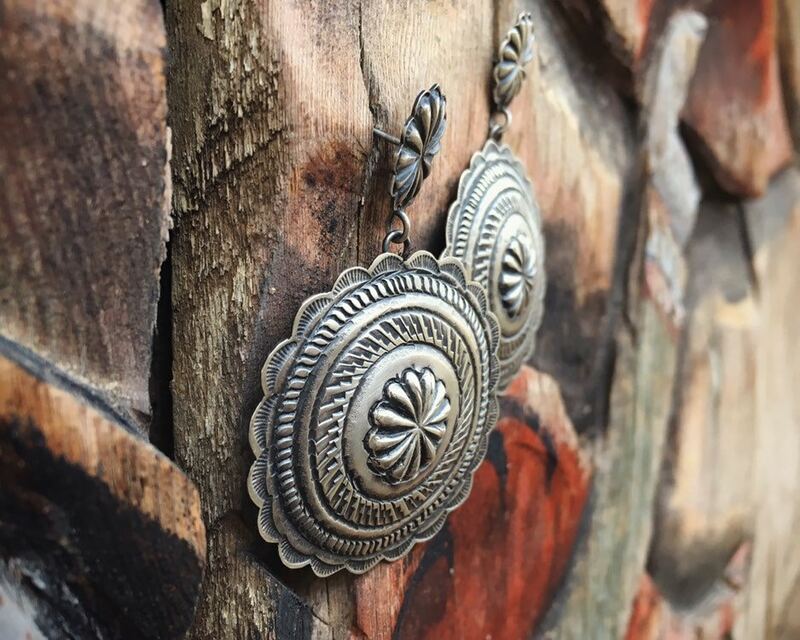 The silver has a brushed finish with oxidation that creates depth and beauty. 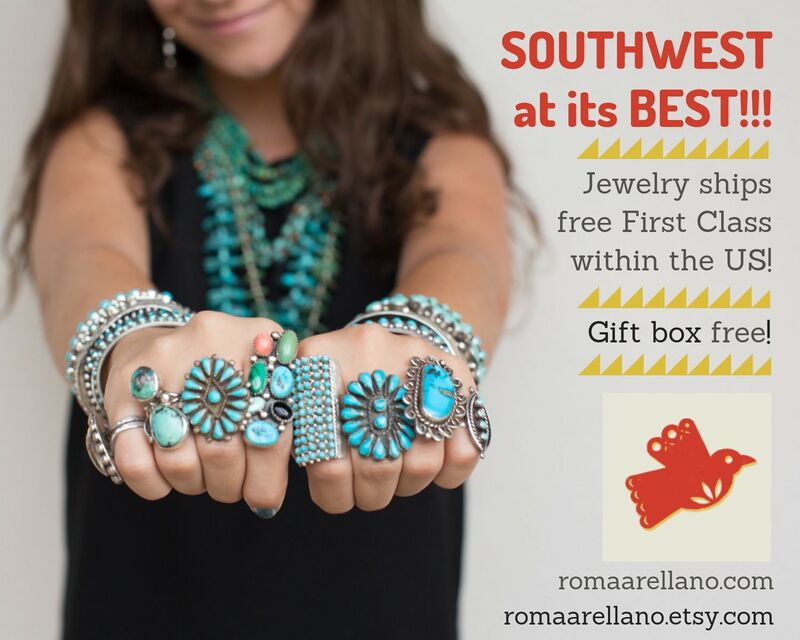 Quite light given the size. 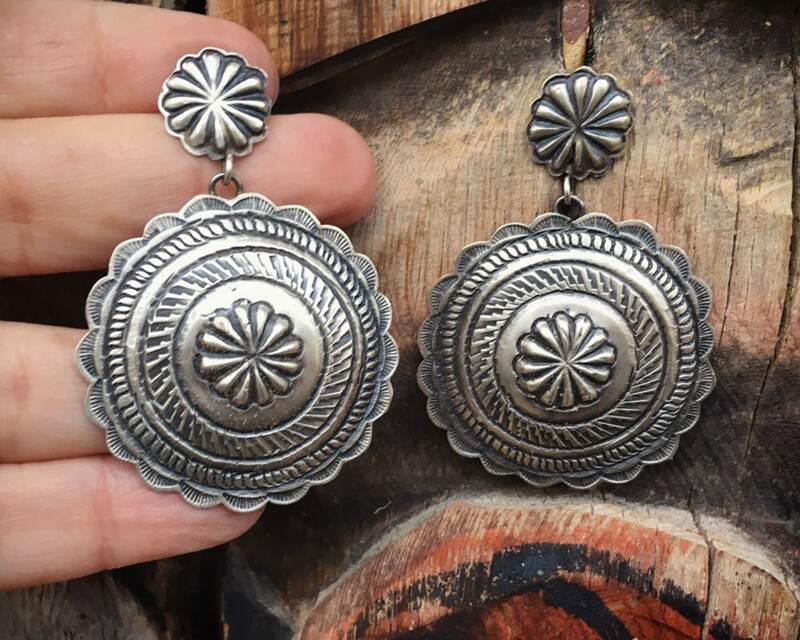 Some small scratches on silver yet otherwise in good condition.